An electrically isolated star capable of delivering over 500 lumens, the Endor Star 3-Up LED combines high brightness with ease of integration into fixtures and OEM applications. 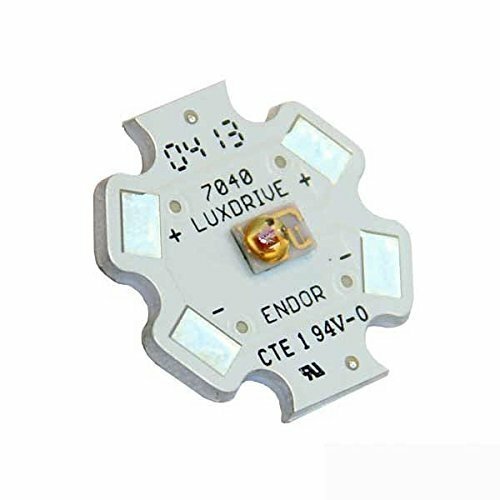 The LuxDriveEndor Star features the LUXEON Rebel emitter, and a footprint compatible with the LUXEON Star. Inherent electrical isolation means thermal interface materials are not required to be electrically isolating. The Endor Star is available in ANSI binned white from 2700K to 6500K, red, blue, green, and amber configurations. The Endor Star is also available in an RGB tri-emitter configuration.